A 5-day hands-on PhD training course in both Wageningen and Amsterdam. 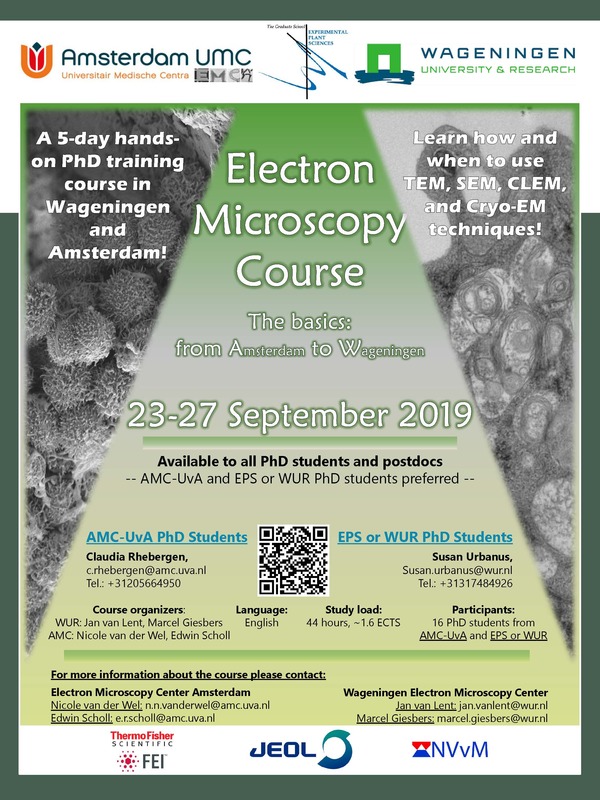 After this course, organized jointly by Electron Microscopy Center Amsterdam and Wageningen Electron Microscopy Center, you will have insight into the possibilities of electron microscopy as a research tool and will be able to decide whether you should use scanning electron microscopy (SEM), transmission electron microscopy (TEM) or combined light and electron microscopy (CLEM) for your analysis. You will be able to operate an electron microscope at basic level, make images and perform basic techniques of sample preparation. 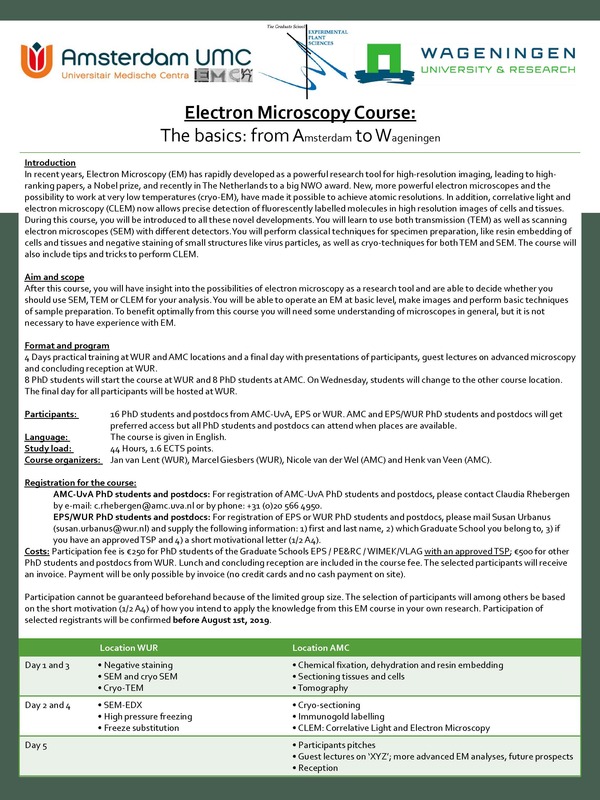 To benefit optimally from this course you will need some understanding of microscopes in general, but it is not necessary to have experience with electron microscopy. More information about registration and a program can be found on the EPS website.
) and provide a 1/2 A4 motivational letter. Limited to 16 participants. Posted in Electron Microscopy, News-CellularImaging, News-EM.